The making of Almost Porcelain began in 2011 and was originally inspired by the choreographer’s personal struggle with self-perception, identity and the notion of beauty. The work has since evolved into a collage of physical explorations stimulated by concepts such as distortion, avoidance, intimacy and the human desire to be seen. 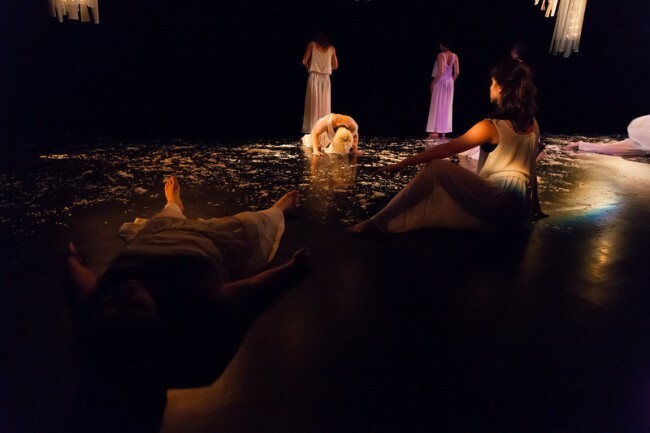 Almost Porcelain captures an unfolding of experiences and memories embodied by the dancers, and the choreography comprises a collective attempt to process how we see ourselves and how we see each other. 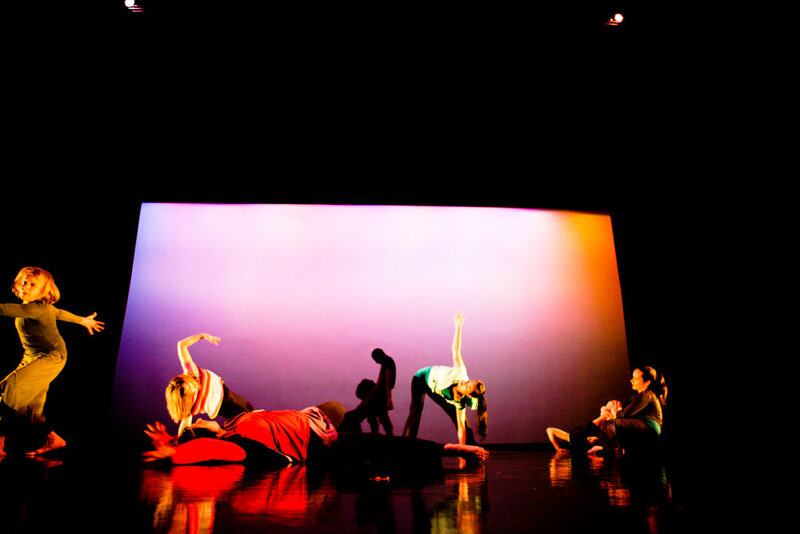 Contemporanea with musical direction by Olushola Cole is a piece inspired by the Brazilian martial art of Capoeira, which incorporates elements of the art form with dance and music. 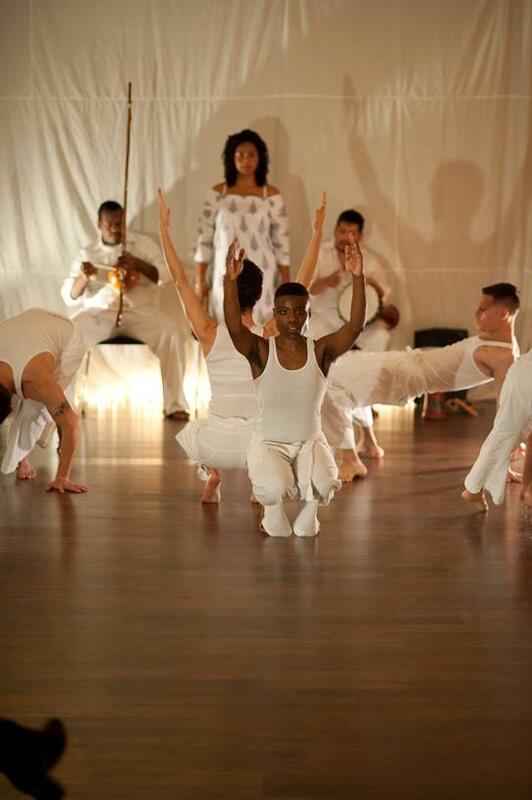 A dynamic perspective, Contemporanea allows audiences to see where Capoeira lives in dance. Experiment 1 is a structured improvisation exploring duration, gesture, action/reaction structures and spatial limitations. Experiment 1 is meant to adapt to any performance situation or venue. The work has been performed in out door venues on the pavement and on the grass; it has been performed in warehouses as well as traditional studio and proscenium theaters. In the summer of 2011 choreographer Lynn Andrews set The Golden Record on ECDC dancers. In August 1977 NASA sent into outer space a phonographic recording-the “Golden Record”- containing sounds and images selected to portray the diversity of life and culture on earth with hopes of some day communicating to intelligent life. 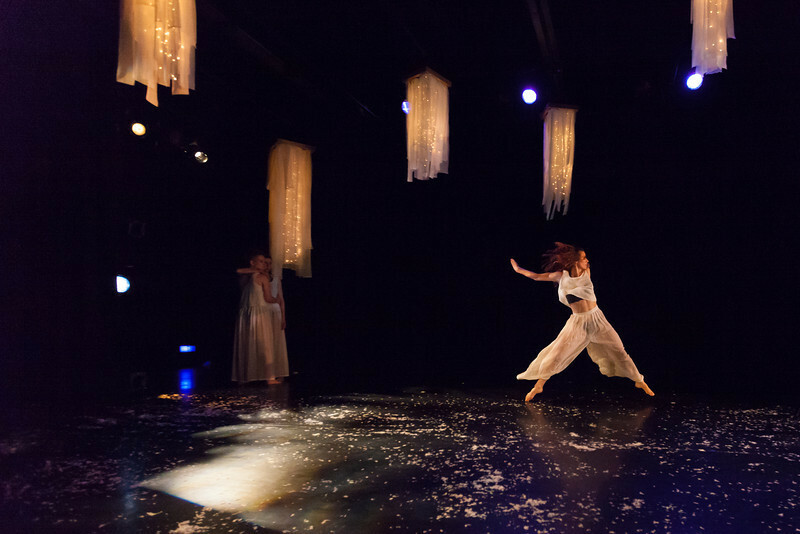 the BLUE project brought together the strengths of the Mystic Aquarium, ECDC and New Haven Symphony Orchestra to create a contemporary dance piece depicting the relationship of life on land and in the sea. Accompanied by NHSO musicians, ECDC Dancers embodied the movement of the amazing aquatic life of the Mystic Aquarium. This original year-long project included a multi-dimensional education program and performances presented in over thirty elementary schools across Connecticut. The project culminated with a two-day family festival at Connecticut's Mystic Aquarium on May 14 and 15, 2011. The Connecticut Commission on Culture & Tourism, Mystic Aquarium, and United Illuminating made this project possible through their generous financial support. house (evening-length site work), 2009 was an evening of food, dance and movement installations choreographed by Lindsey Bauer, Jen Brubacher, Kellie Ann Lynch, Luis Antonio and Kate Seethaler. Special guest artists included Rachel Bernsen, Tara Burns, Ariel Cohen and Brandon Shaw, and Meredith Lyons. house was comprised of site-specific performances located in three different homes. ECDC invited the audience to be led on a journey, complete with a tour guide, through each house or mansion while what once was a home transformed into a strange little world of performance. house explores themes such as ornamentation and spatial restriction through movement and human art installations. house encouraged the audience to get lost in an alternate universe exploding with oddities while enjoying the colorful food creations by Melissa Kane's CRAVE. From paper crane chambers to love letters, house existed for one weekend as a heightened example of display and presentation. Immerse yourself in the rarefied, hyper stylized world of high fashion in SNAP, a movement performance of model proportions. SNAP offers a twisted perspective on the glamorous and couture world of the runway show. From signature walks to explosive dance, SNAP creates a bizarre fantasy world unto itself. “cityscape” is a piece that examines the visual structure within a city. The dancers are void of caricature but their movements explore gesture as well as the presences of angles, building design and skyline. The piece is presentational while still maintaining a very accessible and humanistic quality incorporating a cast of all ages. Originally performed in Tempe Arizona, this piece is a reflective work exploring ways to construct or deconstruct notions of identity. The stark assembly of bodies on stage subvert musical meter, yield to curiosity and confront expectation with exploration. ECDC is known for making site-specific appearances around New Haven. In the last several years, ECDC has been seen dancing at Pride New Haven; CWOS: Alternative Space weekend at The Armory; International Festival of Arts and Ideas pop-up performances and performances on the Green; New Haven Ballet's Dancing in the Streets; On9; and the Department of Traffic and Transportation's pedestrian awareness initiative.